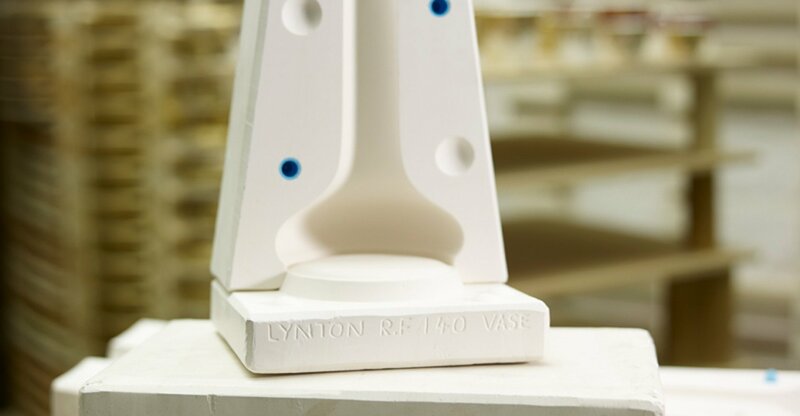 Based in the heart of England and surrounded by beautiful countryside in an area traditionally associated with English China manufacturing, Lynton specialises in the design, production and hand decoration of English Fine Bone China. Each item we make is an individual piece of visual art and our extensive collection includes a vast array of exquisite tableware and ornaments. All of our beautifully decorated items are made to order for our discerning clients. We do not mass produce. Royal families, heads of states and corporate clients world-wide commission our unique and sumptuously decorated china, not only as heirlooms and investments but for the personal satisfaction and enjoyment that comes from owning something of timeless elegance and beauty. 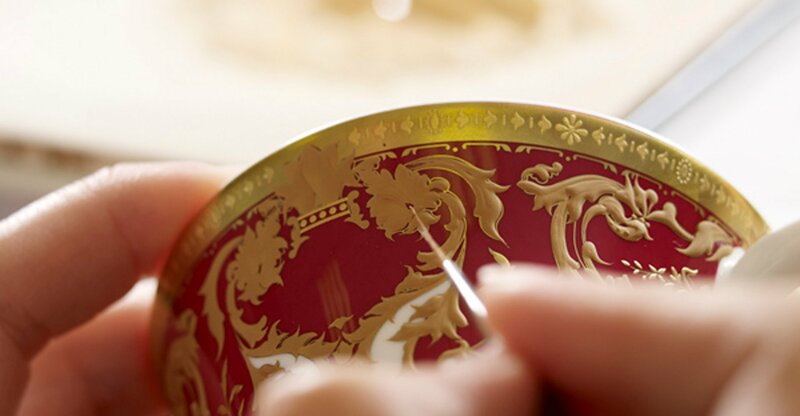 We are particularly noted for our hand painted items that are richly embellished with hand raised gilding in 23.5 carat gold and other precious metals. 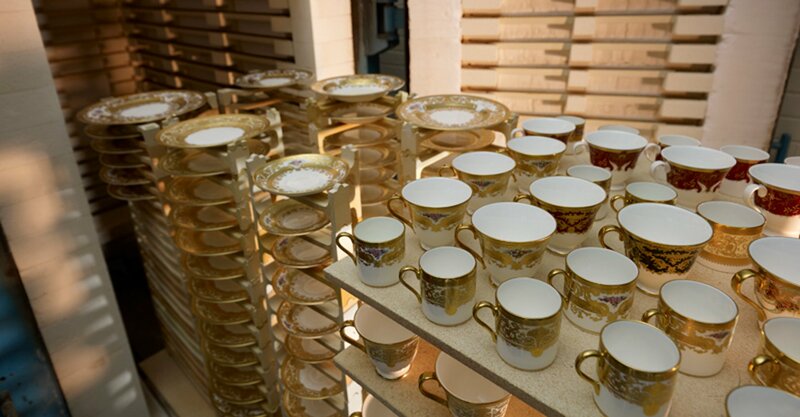 Every aspect of design, manufacturing and decoration is generated entirely within our factory in Derby, starting with the modeling of white-ware and moving through the process to the finished painted and gilded product. 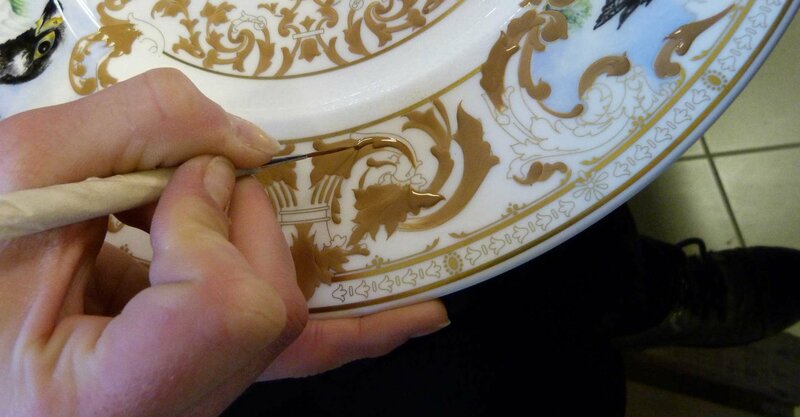 Many of the skills practiced by our staff are no longer in use anywhere else worldwide, for example, hand raised paste work, which requires patience, dedication and natural talent to produce the intricate detailed designs we insist on. Indeed, the time and training needed to produce such works of art are not considered profitable by the larger manufacturers who dominate our market today. We are continually adding new and exciting decorating techniques. The current portfolio offers a choice of pattern, colour and subject matter on over 150 pieces. In addition to this, our in-house design and craft capabilities mean that we can also work to our clients own ambitious project designs in shape and finish. If you can picture it, we can create it.